"Turn out the light! Come!" 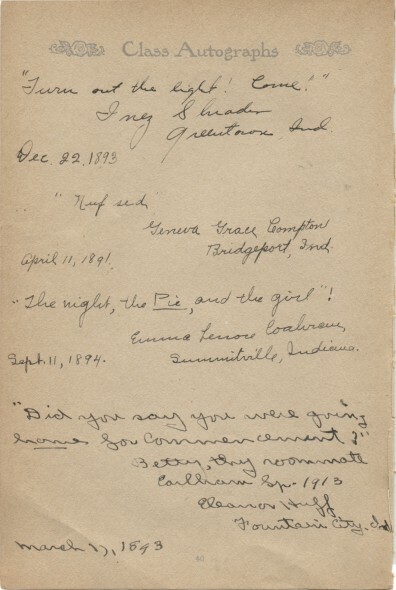 April 11, 1891                Bridgeport, Ind. "The night, the Pie, and the girl"!